On March 3rd-7th local time, the 44th Optical Fiber Communication Conference and Exposition (OFC) has taken place in the San Diego Convention Center, USA. OFC 2019 focused on various topics such as 5G, self-driving technology, optoelectronic integration, and data center architecture. 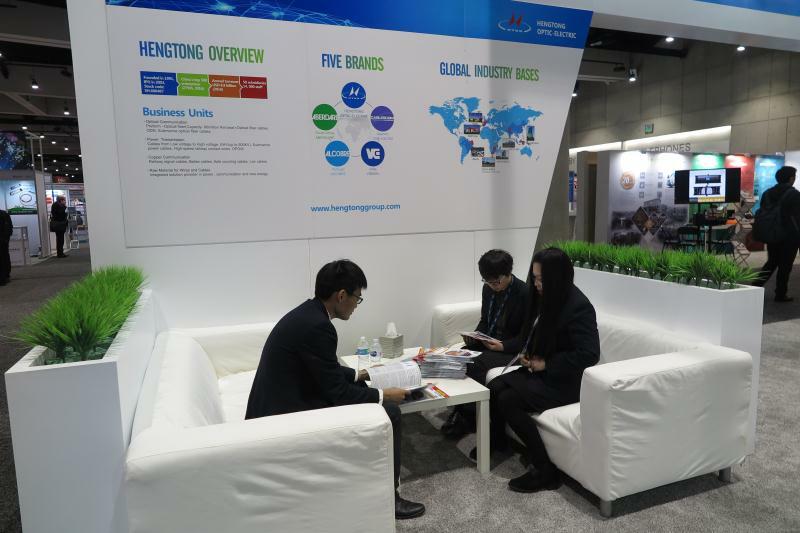 As an important role in the global optical communication field, the Yangtze Optical Fibre and Cable Joint Stock Limited Company ((hereinafter referred to as YOFC, Stock Code: 601869.SH, 06869.HK) made a grand entrance at the conference with its portfolio including 5G cable solutions, OM5 optical fibres, and optical transceivers, and a demonstration of live transmission with multi-core few-mode optical fibres. At the mean time, YOFC delivered speeches and released three articles in the cutting-edge technical field of 100G+ multimode fibres for data transmission, few-mode fibres, and high-speed long-distance transmission, demonstrating its R&D capabilities in the field of optical communication, which drew extensive attention in the OFC. 5G has currently been a focus in network building. The 5G network has a property of high-frequency networking, thus requiring a much larger quantity of base stations. That's why it's becoming more and more challenging for operators to build and maintain their networks. How to make full use of or optimize the existing optical fibre resources to effectively built 5G networks is now a focus for the whole industry. As an important part in the communication industry chain, YOFC can provide carrier customers with a portfolio of cable solutions for three major application scenarios, namely high-brandwidth, low latency, and massive connections. In this way, YOFC can help the operators to overcome defects in optical network scheme and construction. YOFC's solutions include backbone, metro, and access network for various 5G application scenarios including wired and wireless networks to facilitate the construction and development of 5G networks. To meet the demand for high-brandwidth, YOFC's Ultra Low Attenuation and Large Effective Area Fibre can effectively extend the transmission distance between stations without relays for transmission in the ultra-high-speed 400G system, reducing the number of relay stations, as well as the overall construction, operation and maintenance costs. To address the shortage problem of optical fibre routers, YOFC can provide multiple solutions including Micro-ducts and Micro-cables, and small-scale high-density cables. For wireless base station scenario, YOFC provides new type remote optical cable solution, and Hybrid Optical and Electrical Stranded Loose Tube Cable solution to meet the requirement for wireless access of 5G network. The demand for Multimode fibre, a mainstream optical fibre applied in date centers and local area networks, is greater and greater as the number of data centers is growing. YOFC's MaxBand® WideBand OM5 Multimode Fibre supports communication transmission with at least 4 wavelengths in the 850-950nm wave length window, and accordingly supports the latest SWDM technology, and realize an even faster transmission rate. In recent years, YOFC has made full use of the advantages of PCVD technology platform, and kept optimizing the OM3/OM4/OM5 series of optical fibres, through which, YOFC can provide a complete cable solution portfolio for the construction of global data centers. For the application of the data center, YOFC showcased its Optical Transceivers including 25G SFP28 SR, 40G QSFP+SR, and 100G QSFP28 SR/LR, as well as 100G AOC products in the exhibition, providing a solution for fast storage and data exchange of signals in the data center. For 5G wireless scenario, YOFC also presented its dedicated optical transceivers, including 25G SFP28 LR dual-fibre 1310nm optical transceiver, single-fibre BIDI optical transceiver, 25G SFP28 SR, 100G QSFP28 SR, and 100G QSFP28 LR, providing various optical transceiver solutions for 5G forward pass. In the field of consumable electronic products, YOFC specifically showcased the HDMI 2.0 wire, a model of FIBBR Crystal series. The product has a brandwidth up to 18Gpbs, which is an epitome of OFC's advantages and progress in HDMI AOC active optical fibre. Crystal series HDMI has properties of light-weight, small size, good adaptation, unidirectional transmission, and hot plugging. With a friendly crystal appearance, the model have a wiring effect like nearly invisibility. It could not only meet the demand for the transmission of increasingly plentiful high-resolution data signals, but also integrate with any decorations. The emergence of the few-mode fibre technology is an effective progress for breaking through the bottleneck of capacity of the optical communication system in the furture. Based on the powerful technological innovation capability, YOFC has successfully developed the global leading few-mode optical fibre products, which are a representation for the innovation in the industry. 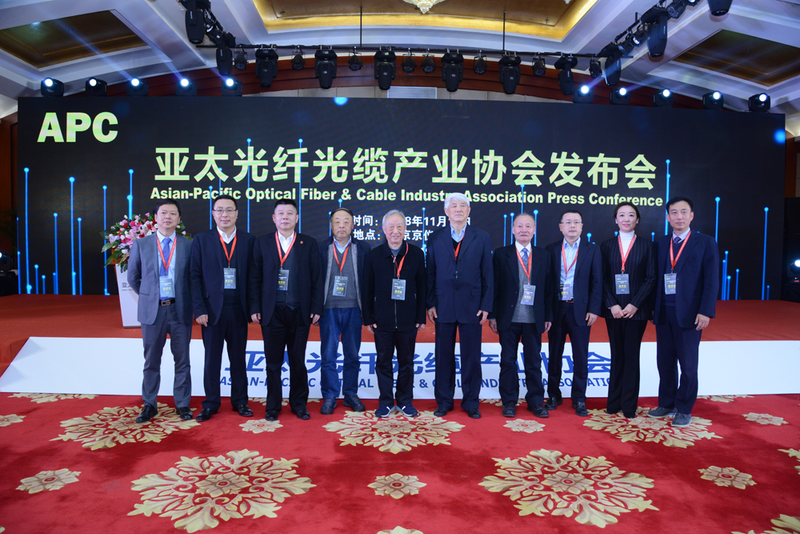 YOFC's Ten-mode Optical Fibre exhibited in the conference has a capacity of ten times more than that of a regular single-mode fibre. The refractive index profile of the ring-assisted core is precisely processed with the PCVD technology, which can increase the refractive index difference among effective modes, and decrease the crosstalk among modes. Thus, the optical fibre could be applied in the weakly coupled non-MIMO transmission system. Globally, the technology is the only mode-division-multiplexing solution that could be nearly widely applied. To promote the implementation of few-mode fibre, YOFC has been cooperating with Peking University to carry out the research on system transmission applications of few-mode fibre. In the exhibition, the experiment of the real-time transmission of the few-mode fibre was carried out. Based on the non-MIMO multi-channel multiplexing transmission, 4K high-resolution video was transmitted through a plurality of channels of the weakly-coupled few-mode fibre that replaced various single-mode fibres. The experiment has draw much attention in the conference. The technological innovations displayed on OFC will lead the future development trend of the optical communications industry. OFC 2019 has attracted more than 660 exhibitors from all over the world. In the meantime, thousands of technical seminars have been held, focusing on topics about optical networks, optical communication applications for 5G, data center architecture, and AI, etc. Adhering to the mission of “Smart Link Better Life”, YOFC actively participates in the seminars and discusses the latest market trends and technical directions of the industry in addition to display rich optic fibre and cable products and the latest applications. In this way, YOFC has been making its own contribution to promote the sustainable development of the global optical communication industry.